Framed Star Trail prints featuring YOUR property or Memorable location. Thanks for visiting my Star Trail page. 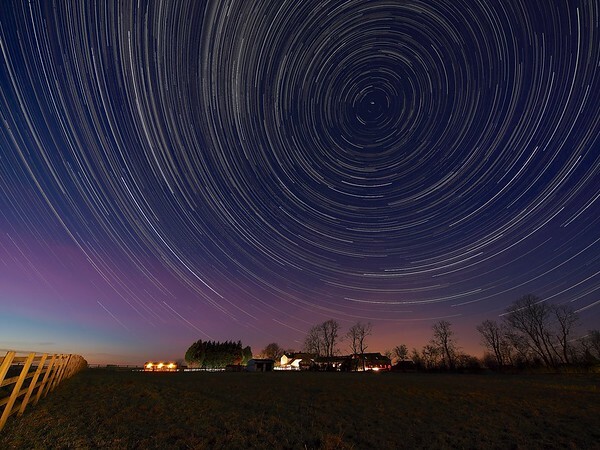 Would you like a bespoke framed print featuring your home, business or memorable location capturing the magical effect of Earth's rotation, as seen through the swirly stars? Star Trails are magical and truly unique. Add to this a special or memorable location over which the stars spin make for a fantastic memory or ideal gift. A lot of work goes into producing such an image as shown in these examples. However, it is not expensive to produce such a personal piece of art. Prices start from as little as £150 for a completed framed print (20'x16" size), excluding travel expenses. To capture a photo like this involves accurate weather forecasting, an entire night of camera snapping away, post processing and framing the completed print. The perfect size for one of these framed prints (and most popular) is a 20"x16" (approx 23"x19" frame). Naturally there will be travel expenses (dependent on shoot location - based upon distance from LE17 postcode) and I will provide a cost estimate upon enquiry. If you would like to order one of these stunning bespoke & personal framed images featuring your own memorable property such as home, business, holiday building, favourite structure, memorable location (such as a church you got married in) then do get in touch. Bespoke and varying frames can be accommodated & priced accordingly. Please note that these images require almost perfect weather/clear sky conditions so lead in time will be in the lap of the gods :-) In addition, this is no production line product so do allow plenty of advance notice for that special gift or date. I would suggest allowing a few months notice but do call or email to enquire to discuss requirements as sometimes they can be turned around in days, again depending on clear sky conditions. Examples of work produced for clients are detailed below in the gallery. Thanks for looking and do get in touch. 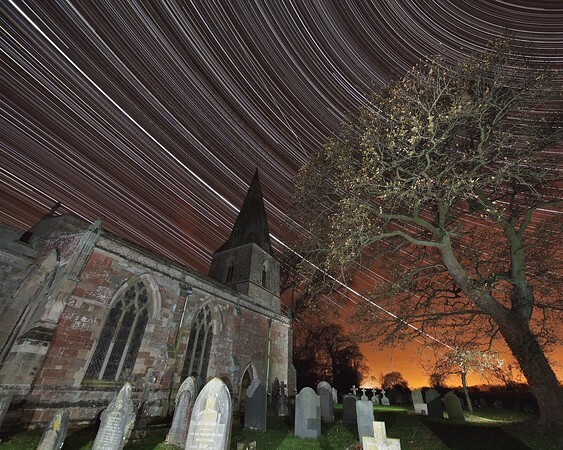 Star Trail over church for a client whom got married in this wonderful church at Misterton, Leics.